David Pocock hasn't played a competitive game for three months, but the Wallabies' star has declared himself fit to play in the Brumbies' Super Rugby season opener. The 30-year-old will slot straight back into openside flanker for Friday night's clash with Melbourne after experiencing injury troubles in recent months. 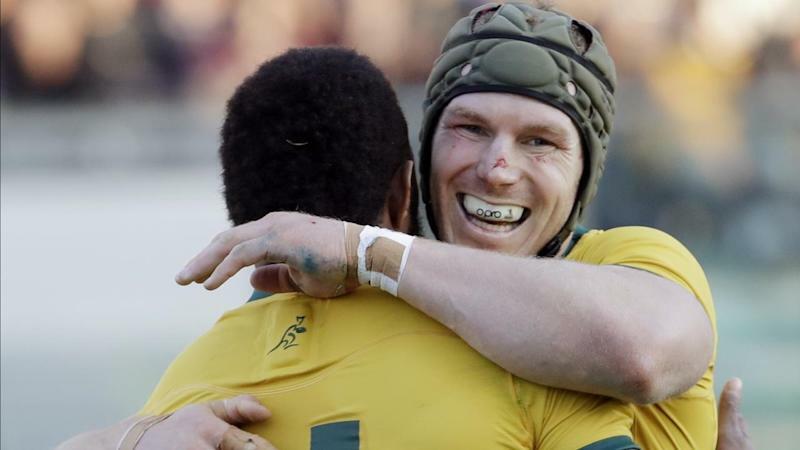 Pocock strained a calf muscle last month at a Wallabies training camp, which followed a neck issue that forced him out of the November Test against England. With fellow Wallabies Scott Sio and Allan Alaalatoa, Pocock was rested for the Brumbies' two trial wins against the Rebels and NSW Waratahs. But after cancelling an overseas holiday to try to return to fitness, the John Eales medallist says he's prepared as best he can for the rigours of an Australian derby. "I've got a bit of run in my legs and we've been doing a lot of contact so I don't think that (a lack of match fitness) will be an issue," Pocock told reporters on Tuesday. "I think you're always putting pressure on yourself. I'm not too sure how much that changes over the years. "You're always wanting to be playing your best and not letting your teammates down." Pocock missed the Brumbies' first three games last year as the ACT team suffered an early slump which cost them a place in the finals. But entering a second season under coach Dan McKellar, Pocock says the Brumbies can again be a Super Rugby force. "It's always tough with a new coach but we think we're a lot more on top of the way we're wanting to play, and we've got the players to do that," Pocock said.